My kids absolutely love taking home our class pet for the weekend! 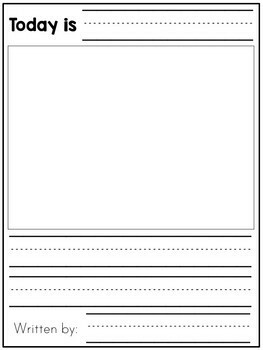 It is a favorite tradition in my classroom each year. 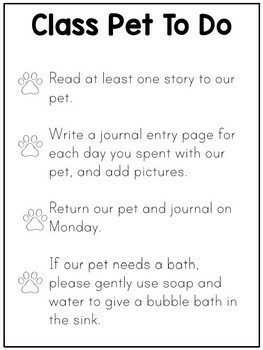 Children take our pet home each Friday, spend the weekend together and complete the journal, then present their writing on our classroom stage on Monday. 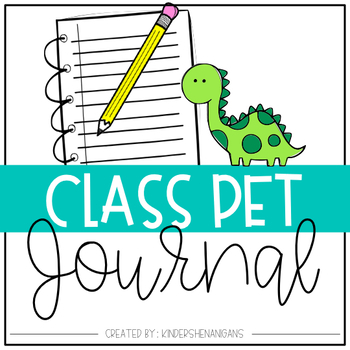 This pack has everything you need to create a class pet journal. Just add a stuffed animal, print, and go!